University employees are employees-at-will, meaning employment may be terminated at the will of either the employer or the employee, with or without notice. Managers should refer to the information below for guidance on voluntary and involuntary terminations. In most voluntary termination cases, an employee will need to submit a resignation letter to his or her supervisor at least 10 days before the intended date of termination. The letter should state the reason for and an effective date of termination. In the case of a student leaving employment dues to graduating from the university, the student does not need to submit a resignation letter. Please refer to the Student Employment site for more information on student employees. In the case of an employee retiring, the employee should submit his or her intent to retire to his or her manager with a minimum of 90 days advance notice and also notify Benefits. Please note: an employee's last working day cannot fall on a holiday or any other scheduled time off, except when the employee is on job protected leave or is regularly scheduled to work on the holiday. You can direct employees to the Transfers and Departures page for more information and checklists on ending their employment with the university. An employee may choose to resign from their employment with the university for a variety of reasons. The list below can provide guidance on voluntary terminations. Failure to Return from Leave of Absence (Voluntary): Rehire eligibility may depend upon circumstances for not returning and whether the employee gave notice that they would not return. Graduation (Student): Graduated from GW (student only) Employee does not need to submit resignation in this case. Relocation: Employee resigns due to relocating to another area. Retirement: Employee has met all rules for retirement from GW and retirement has been approved/processed by Benefits. Employee should give a minimum of 90 days advance notice to his or her manager and notify Benefits. Returned to School: Employee resigned to return to school. In some instances, an employee may have their employment relation with the university concluded involuntarily. Reasons in italics indicate ineligibility for rehire. Abandonment of Job: Employee stopped coming to work with no explanation and no contact with his/her department. Employment Authorization/I-9 Expired: Employee failed to provide Form I-9 documentation verifying eligibility to work in the U.S. or failed the E-verify process. End of Contract: Contract appointment ends or contract is not renewed (Employee leaves in good standing.). Excessive Absences/Attendance: Chronic unscheduled absences, tardiness and/or early departures (applies for situations not covered under ADA or FMLA). Failure to Return from Leave of Absence: Rehire eligibility may depend upon circumstances for not returning and whether the employee gave notice that s/he would not return. Misconduct/Violation of Rules: Serious inappropriate behavior; used when one of the more specific reasons does not cover the situation, such as conflict of interest, insubordination, sleeping on the job, or violation of university policy. Unsatisfactory Performance: Employee failed to meet expectations of the position, including failing to satisfactorily complete the introductory employment period. When an employee terminates from the university, there are a number of considerations that must be addressed as part of the exit. Please use this checklist to assist with the transition. Work with your Human Resources representative to seek prior approval if termination is involuntary. Collect resignation letter and prepare final leave record through termination date to complete electronic termination process. Work with the HR representative to process termination, preferably one to two business days prior to termination date. Inform employee of their leave balance, especially if there is a negative balance. Determine the Final Paycheck process. Talk with your HR representative and Payroll regarding final payments to the employee and when to expect payout. Check in with online directory liaison to remove exiting employee information from your departmental listing. If the departing employee had access to any group accounts within the department, change the password to those accounts. Exit interviews may be scheduled and conducted in person with an HR representative. Ask the employee to immediately submit any pending expense or reimbursement requests (with receipts) for approval. Refer the employee to information on Benefits Upon Leaving GW for information on COBRA, retirement, disability, flexible spending accounts, health savings accounts and more. Remind the employee to check with the GWorld Card office for any Colonial Cash/debit dollar balance. Remind the employee to return any library books to GW libraries. Unit heads along with their management teams are responsible for determining the organizational structures that best meet the operational needs and available resources of their units. If the need to eliminate one or more positions (sometimes also referred to as a "reduction in force" or "RIF") is contemplated, the unit's Human Resources representative should be contacted early in the planning stage for assistance. 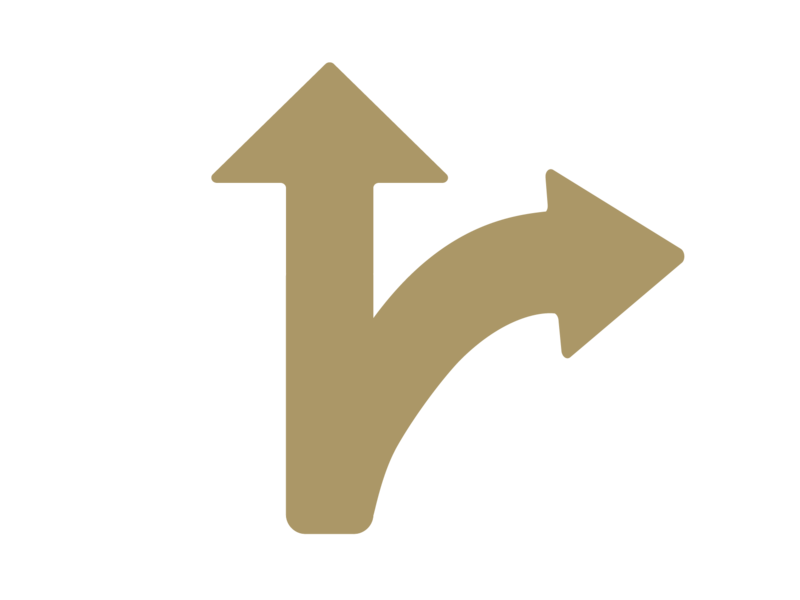 A change in an employee's position, pay, or job responsibilities without a loss of employment, such as a transfer from one department to another, a reclassification of a position, a change in supervisory reporting lines, or a reduction in salary or work hours, is not a position elimination and is not subject to this guidance. Supervisors should consult with their Human Resources representative for guidance on these issues. If there is a direct conflict between this guidance and an applicable collective bargaining agreement, the collective bargaining agreement will prevail. Unit heads proposing to eliminate a filled staff position must submit a written justification to their Human Resources representative for the proposed action along with a current and proposed organizational plan. The materials will be reviewed by Human Resource Management and Development, in consultation with the unit head. In the course of the review, additional information may be requested. The written justification should include the rationale for the position elimination(s) based on job function and an explanation of how the responsibilities of the position will be redistributed or modified (for example, will the job responsibilities, if still needed, be redistributed among existing staff, will the function be outsourced to another unit or external vendor, etc.). The written justification should also include any external factors that may have resulted in the position elimination, such as changes in technology, regulatory changes, modified business operations, etc. In the case of a restructuring of operations that results in the creation of new positions as well as the elimination of positions, job descriptions for the current and proposed positions should also be provided. Positions will be selected for elimination based on the needs of the department. In addition, when there are multiple positions in the unit with the same title and classification and not all of such positions are being proposed for elimination, the incumbents' relevant experience, skills, qualifications, knowledge and competencies should be considered in determining which positions to eliminate. Requests to eliminate positions will be reviewed and approved by Human Resource Management and Development. Human Resource Management and Development may consult with other university offices during the course of the review. Notification letter providing two weeks of paid notice. Departments may decide, in consultation with the Human Resources representative, whether the affected employee(s) should work through the notification period. The Human Resources representative will also work directly with the unit to develop implementation and communications plans. An affected employee will not be eligible to receive severance benefits if he or she obtains another position at the university prior to the payment of severance. Positions that have been eliminated may not be reinstated for 12 months.